Elevate Children - Elevation Co.
You are likely to trust people with your children more when you understand WHY they do what they do. We believe it is important that young people are equipped with the skills, abilities and self-belief to work through any struggles they encounter, with a sense of hope and possibility. We aim to empower them with a strong foundation of self-confidence and personal leadership and then support them to build on this through drawing the very best out of their educational experience. We know that being successful in life and at school requires practical academic skills that are tailored to match each child’s learning style, combined with self-confidence, inspiration and an understanding of and respect for our environment. Our aim is to assist them to develop a solid foundation of self-belief and self-leadership today, upon which they can build well into the future. We also know that young people need to be given opportunities to become global citizens, leaders of a new way of living, working and doing business and they need to be empowered to utilise their unique strengths, skills and capacities to create the life they choose. Richard Branson talks about the “next great frontier where boundaries between work and higher purpose are merging into one”. We believe it is important for our young people not only to be successful at school, but also to have a strong sense of who they are and what they stand for. It is our aim to support young people to create their own version of their very best life, whatever that looks like to them. environmental awareness to children aged 10 to 18. Delivered as an adventure based camp experience in school holidays, the program me runs in two forms – Senior Forum, over 10 days in the April holidays for children 14 to 18 years and Junior Forum, over 7 days in the September holidays for children aged 10 to 14 years. These programmes are also delivered directly into schools as “place based” programmes upon request. What’s taught at Green SuperCamp® Australia? In 2013 I sent my 12 year old son to Green SuperCamp Australia. He left NZ unsure of whom he was, what he wanted, where he sat and was frustrated with schooling. He came back more at ease. The impact was intangible yet definite. No one thing had changed yet all of him had. His internal compass had stopped wavering and he was now on a road, a great road and one he had chosen. I couldn’t have asked for more, especially within one week!! We couldn’t afford private school, yet Green SuperCamp gave him something no curriculum provider could. He has attended every year since. I trusted my instincts as a mother and am so pleased I did! The research tells us very clearly that the number one thing that matters to young people, within family, school and the community, is ENGAGEMENT. When young people feel engaged and have a sense that people are interested in them and what matters to them, they flourish. For this reason, we place a great deal of importance on providing a wide range of services to young people and their families that increase engagement, effective communication, problem solving and life-long learning. GoodVibe Youth Mentoring is a combination of one-to-one and group mentoring, assisting young people (and their families) to overcome issues or struggles that prevent them from effectively navigating through their teenage years. The programme is delivered by webinar and alternative communication mediums, to ensure it is accessible to young people all over the country. The sense of a shared experience and taking the journey with others who can support and understand, is crucial to the success of this programme. GoodVibe Youth Leadership is a personal growth and leadership development programme inspiring confidence and self-esteem for children aged 12 to 18. The programme runs in partnership with several schools in Victoria and operates from the school facility in the “after school” time slot. It is fundamentally a personal growth and leadership programme, inspiring confidence and self-esteem in young people. The programme also draws on the resources and expertise of members of the local community, who contribute to the programme, in order to build the sense of belonging, connection and regard for young people. Professional development is provided for teachers and school staff, offering the most up-to-date and innovative educational practices, which strengthens their capacity to engage children, meet children’s individual learning needs and promote a thirst for life-long learning. Our Professional Development programmes, which are tailored for the unique context of each school or region, can be delivered as a component of an annual Professional Development Plan or we can create the entire year’s PD curriculum to ensure each delivery session builds on the previous session, toward achievement of specific developmental goals. Undergraduate Education is a service provided in partnership with Tertiary Education providers (such as La Trobe University and Deakin University), to build the capacity of undergraduate student teachers to effectively engage young people, and apply their theoretical knowledge in a practical environment. We work with the tertiary institutions to deliver training within their curriculum, as well as hosting under graduate and post graduate students on placement. 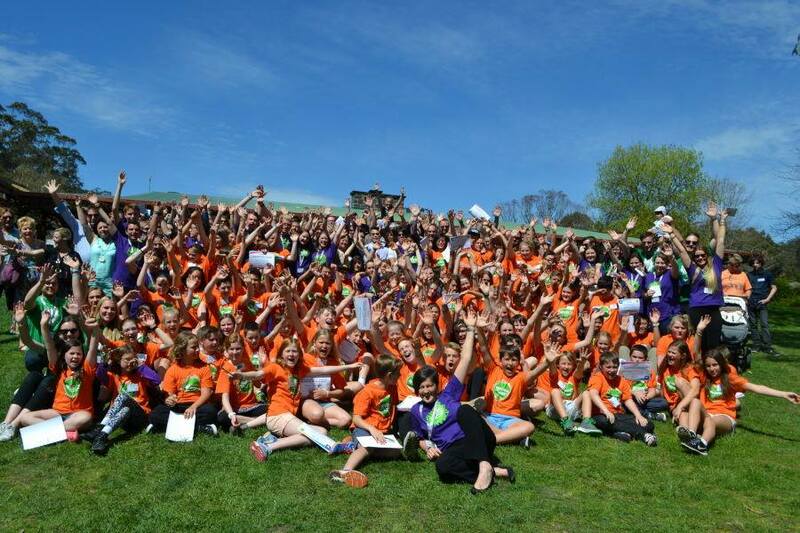 The School Partnership Programme is an opportunity for your school to work in partnership with Green SuperCamp® Australia to greatly benefit your students, teaching staff and school community. As an educator we know you are committed to helping young people to learn, grow and become empowered. We know that as well as supporting students to get the very best out of their educational experience, you also aim to equip them with life skills, self-confidence and personal leadership skills. We also know however, that it is becoming increasingly difficult for you to respond to the unique individual requirements of each student within the context of a classroom, where often there’s pressure to do more with less….and get better results! That’s where we can work together in partnership to help your young people accelerate their learning and development and to build the strength of your school community. Possible school partnerships with schools in USA, Bali, Singapore, Africa, South America and Europe through the Quantum Learning Network. to see young people thrive! Each with a background in areas such as teaching, youth work, sport and recreation, arts, and media and drama, our Facilitation team are inspired by the difference they can make in young people’s lives. They have a unique capacity to engage children, understand their needs, empower them and assist them to discover the truth of who they are and create a life they love. They are also incredibly committed to supporting teachers and schools to powerfully engage children, in a way that creates better outcome for children and greater satisfaction for teachers. Heather Yelland and several other members of the Elevate Children team are also great speakers. Regularly appearing at the Magic Moments National Youth and Business Summit, the StepUp Foundation Youth Training events, schools and youth forums, our team know how to speak in a way that engages and inspires young people, as well as their families and teachers. If you’d like to know more about any of our services to children, young people and schools, please connect with us and someone from our team will contact you.